Renewable energy is a focus of IESVic. 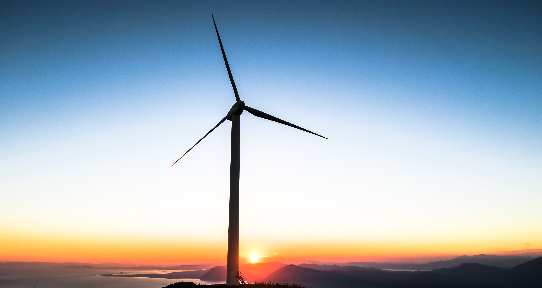 IESVic researchers are working on both sides of the sustainable energy problem: designing technologies to harness renewable sources and studying the integration of these devices into existing and future energy systems. At IESVic, researchers use simulation, optimization and experimentation to conceive and validate new designs. They also work with industrial partners to test full-scale prototype devices. The goal is to make these devices viable alternatives to fossil energy generators by improving both technical performance and cost effectiveness. Effective use of renewable energy technologies requires a good understanding of resource availability. Temporal and spatial characteristics of waves, tides, and wind are being quantified to provide data for further analysis and project development. A rapid evolution in wind turbine technology has reduced costs, increased performance, and enabled global development of wind power. Research continues to address challenges with cold climates, component fatigue, and installation hurdles that come with increased scale. New technologies are being examined which mitigate issues with land-use and resource dynamics. Land-use is a constraint that can limit the feasible options for energy supply and generation. Waves and tides are renewable energy sources with potential to generate electricity for coastal communities. New technologies that capture and transform natural fluxes are being developed and assessed. Solar energy is seeing broad uptake due to significant cost reductions and desirable environmental attributes at scales that allow for distributed deployment with storage. In addition, solar thermal systems can provide heat for comfort and hot water. The value of solar technologies is being quantified over a range of scales in regions of Canada. IESVic currently hosts the West Coast Wave Initiative and IESVic members are involved in the Future of Renewable Energy in Canada's Arctic Project (FRENCA).